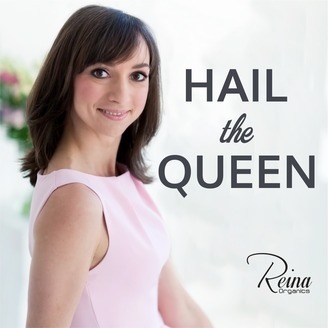 Hail the Queen Podcast is a collective of interviews to help you connect and well… Hail the Queen in you. My name is Rayna and I am the founder of Reina Organics. 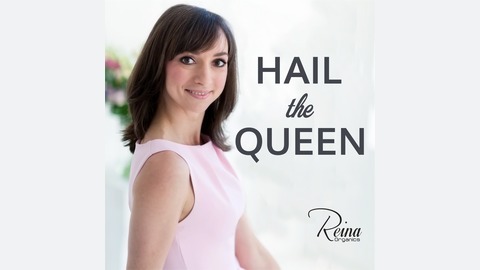 Both this podcast and Reina Organics are about women empowerment and helping women feel comfortable in their skin, metaphorically and literally. Make sure to subscribe as there will be a new episode coming every week. My guest today is Alexandra Franzen. Alexandra is a professional writer who writes articles about creativity, productivity, communication, goal-setting, entrepreneurship, and how to deal with difficult situations in your life and career. She also works as a copywriter and writing coach, helping clients to develop podcasts, videos, websites, pitches, proposals, books, and other projects. Having said all that, this episode is for everyone, even if you’re not interested in writing. As you will hear in our conversation, I admire Alex for many reasons and I am absolutely confident that any human being who wants to live a fulfilled life, not just merely exist will find something to take away from this episode. I first heard about Alex four years ago when I launched my company Reina Organics. At that time I was following a course by Marie Forleo called B School and Alex was one of the two resources for copywriting Marie shared (for the ones of you who know Marie Forleo, this already says a lot). When I visited Alex’s website I fell in love. I immediately signed up for her newsletter (you’ll hear more about that in our conversation) and I have been admiring her work ever since. Alex has been a person I look up to when it comes to writing. Her work has helped me realize that I love writing and it has helped me improve my communication with my loved ones. You can get Alex's book So This is The End here. This is the book which Alex mentioned - The Top Five Regrets of the Dying by Bronnie Ware. What was the most useful thing you learned from my conversation with Alex?